Bringing in new customers is important for your restaurant, but equally as important is making sure you get first time visitors to come back again. Here are four ways you can encourage your customers to keep coming back for more of your delicious food! Before a customer leaves, have your servers ask how the meal/service was, or leave a card on the table that patrons can fill out. When you receive feedback be sure to give it serious consideration, whether it’s good or bad. For example, if customers agree that your food is good, but drinks are weak, make sure to take the necessary steps to improve the drinks. Similarly, if customers really like a certain dish on your specials menu, consider keeping it around long-term. Try taking this same approach and treat your repeat customers like VIPs. Get to know their names, offer an email/promotional club they can join for special discounts, treat them to a free appetizer or dessert on their birthday or anniversary and greet them with a warm welcome whenever they walk through the doors. Offer exceptional food and customer service. This is hands down the best way to retain customers. You don’t have to have the latest fusion food on the menu or introduce exotic ingredients, just be the best at whatever you do offer. If this means hiring a new chef or narrowing down the menu to the most popular items then begin doing that today. You don’t need to follow the latest trends to make a name for yourself, just offer exceptional food and service. Pause for a moment and think up five ways to improve your patron’s experiences in your restaurant. Perhaps you would add a bar, renovate your dining room or buy new kitchen equipment. Now ask yourself why you aren’t doing those things. Is it because you don’t have the cash on hand to start or complete a new project? If so, a working capital loan could be just what you need. 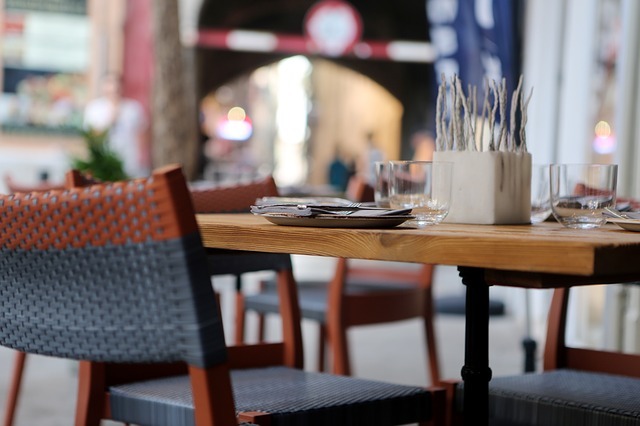 A working capital loan is ideal for restaurants that want to take advantage of new growth opportunities. Learn more about our business loan approval and payback process today to improve your restaurant and keep customers coming back for years to come.